Children are taught the skill of reading data in ks 1 of primary education. bar graphs or bar charts are a way of displaying gathered information in a visual context. 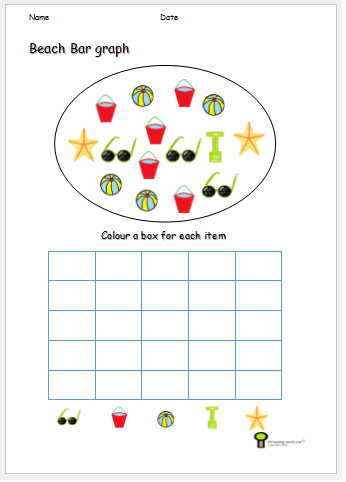 from reception and year one children will be introduced to bar charts in the simplest for often using pictures. bar charts using pictures or pictographs are a easy way of introducing bar charts. As your child progresses further on in primary education into year 2 and 3 they will be collecting their own data and recording this in their own bar graphs. They will become familiar with all the properties of a bar graph and have the ability to label the axis and chose an appropriate scales for example counting in 2, 5, 10 and so on. 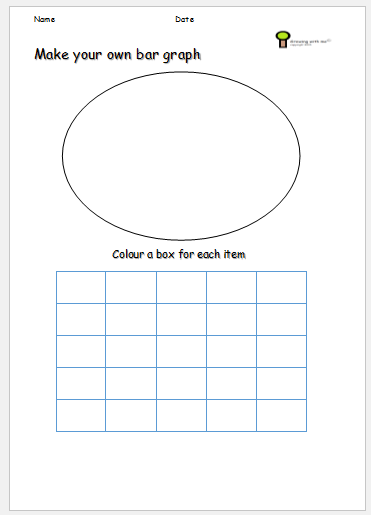 In year 3 your child will be taught the skill of drawing their own graph on square paper from scratch. 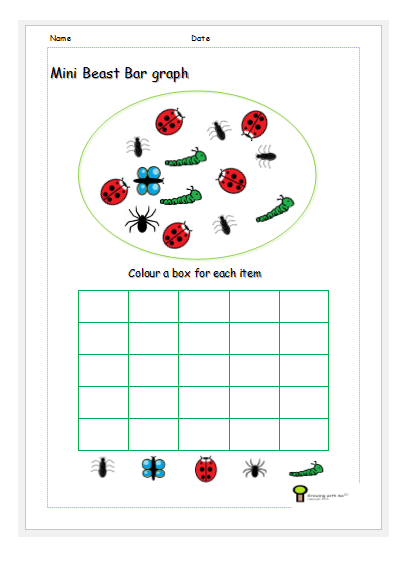 During year 3 your child will also be taught to answer questions about gathered information and practise answering two step questions in data handling. From year three (ks 2) onward the level of questioning will adjust appropriately, as with the recorded data for example comparing two graphs working with different measurements such as temperatures. Below are the free printable worksheet activities perfect for introducing bar charts to little ones. 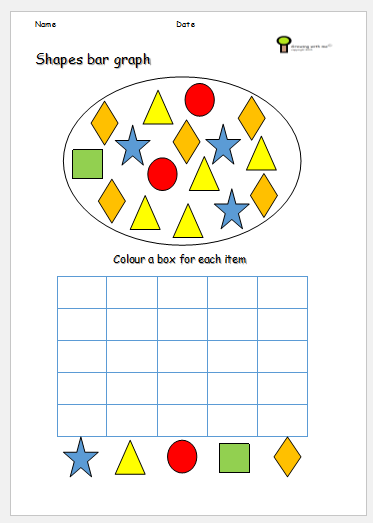 If your child is able to do these easily try moving onto the free printable bar graphs with questions.